Leslie Mod 145 Preamp pedal? 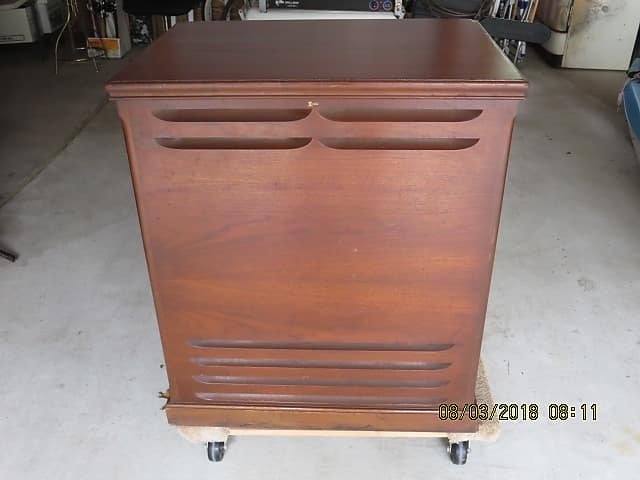 I have an opportunity to pickup an old Leslie rotating speaker cab with the tube amp - for cheap. This model has two speeds and 50 watts. The only problem is (other that the size and weight of this behemoth) is that they're designed for Hammond organs, and require a preamp pedal to play guitar with. Anyone have experience on acquiring the pedal, and is that actual Leslie sound worth all the hassle? I have seen the preamp pedals on reverb, and think Goff Professional carry's them.. The real rotating sound is right out of the 70's (think Badge). The 145 is an excellent piece and worth it's weight.